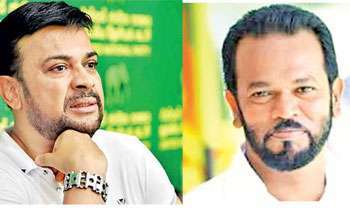 The government yesterday said it had lodged a complaint with the police over UNP MPs Ranjan Ramanayake and Palitha Thewarapperuma who had allegedly threatened government MPs in Parliament with a knife. Govt. MP Indika Anuruddha said a complaint has been lodged with the police post at the Parliamentary complex. “Both Ranjan Ramanayake and Palitha Thewarapperuma threatened me with a knife inside the chamber. When I brought Speaker’s attention to this, he said not knives but swords should be brought in because of the current state of affairs. "This is unacceptable. Prime Minister Mahinda Rajapaksa’s seat was a few rows away from these unruly MPs. This was a threat to all MPs. Therefore, we lodged the complaint with the police,” he told a news briefing held at the Prime Minister’s Office. Yes, for damaging public property. They should be dismissed from Parliament, barred from contesting and police should take them to courts. A DISGRACE to SL. How about the murderers of Lasantha, Thajudeen, and many others murdered under MR's regime ? They are in MR's side. THESE HAVE TO BE THE LOW LIFE OF OUR COUNTRY. GOOD FOR NOTHING THUGS, ACTING LIKE CROWS IN GALLE FACE ! Crying over spilt milk having lost the vote. How could a person bring a knife to chamber with all security measures in place unless the knife is a plastic one. Do they have any video evidence? It was a "SELLAM KNIFE" or a Letter Opener. If the Hambanthota Major could say that he brandished a "SELLAM PISTHOLAYAK", why not the others. This is what happens when thugs and film actors are allowed to become MPs. At least for the future, all aspiring MPs should satisfy a mandatory prerequisite of a University degree or a Law professional qualification. Number 1 thugs in parliament from both sides. These MP's not suited even for local council. May god bless to my country. 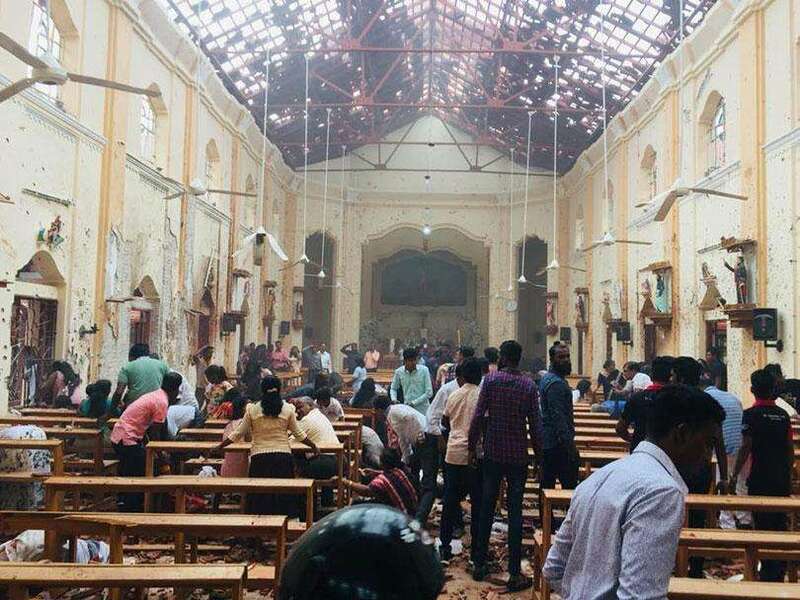 The myth that only Rajapaksas hold the monopoly in in thuggery and violence is at long last put to rest.Shame on the UNP, you are as ghastly as the rest. A good example to showcase UNP brand of democracy. Carefully see if it was a toy knife,Because politicians normally carry toy weapons. Maybe from the canteen.....better to have plastic knives as on airlines or better still none at all. What is the harm in having a toy knife or letter opener in the Parliament. I hope you have not forgotten the day in Parliament when all SLFP , updates and SLPP came drunk to parliament and spent the night playing BURUWA in the parliament and went to sleep therein. The aggressive party in this case is definitely the SLFP/ SLPP coyotes. In the news they exactly showed the person who was having the knife. Dogs should be treated like dogs.